NS 746 767. 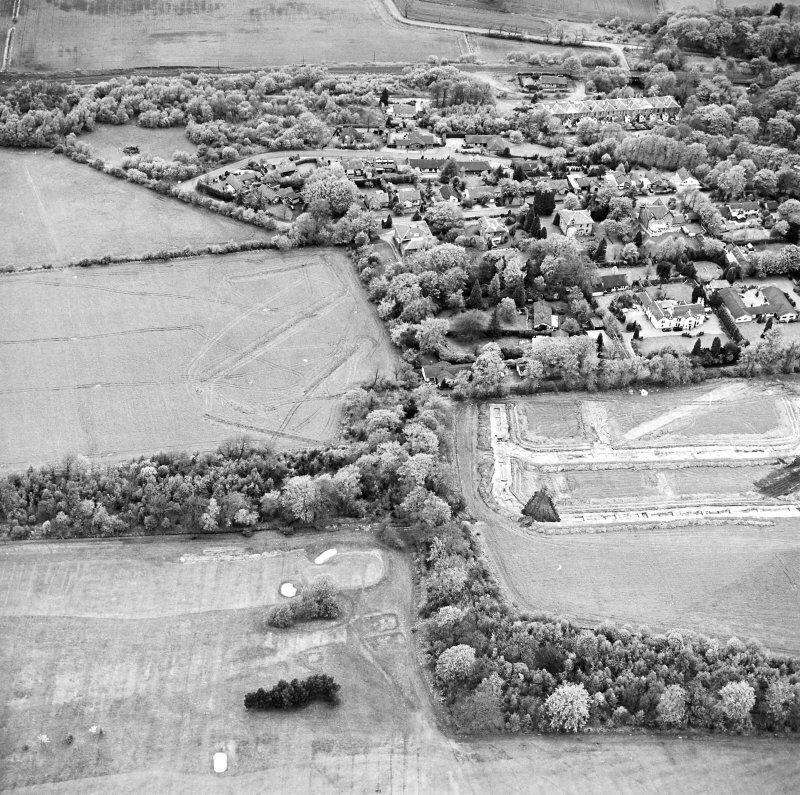 Two Roman temporary camps, observed from the air by St Joseph to the S of Dullatur House, were investigated in 1975. Three sides of each camp were available for excavation, the fourth lying beneath housing. 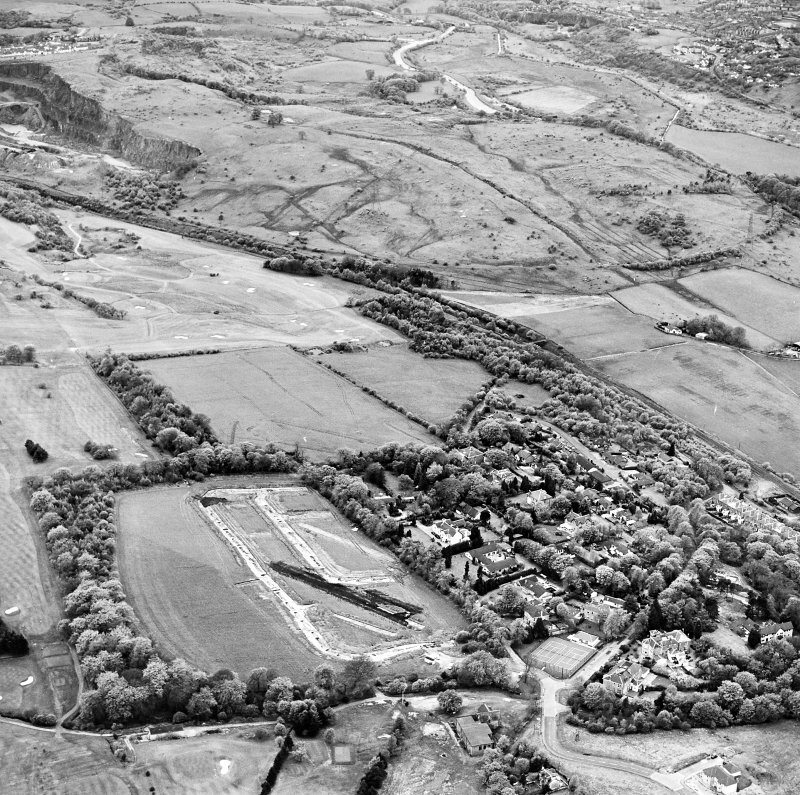 The smaller camp proved not to lie wholly within the larger (c/f the OS map of the Antonine Wall), but to be linked to it on the W. The larger camp was proved to be the earlier. 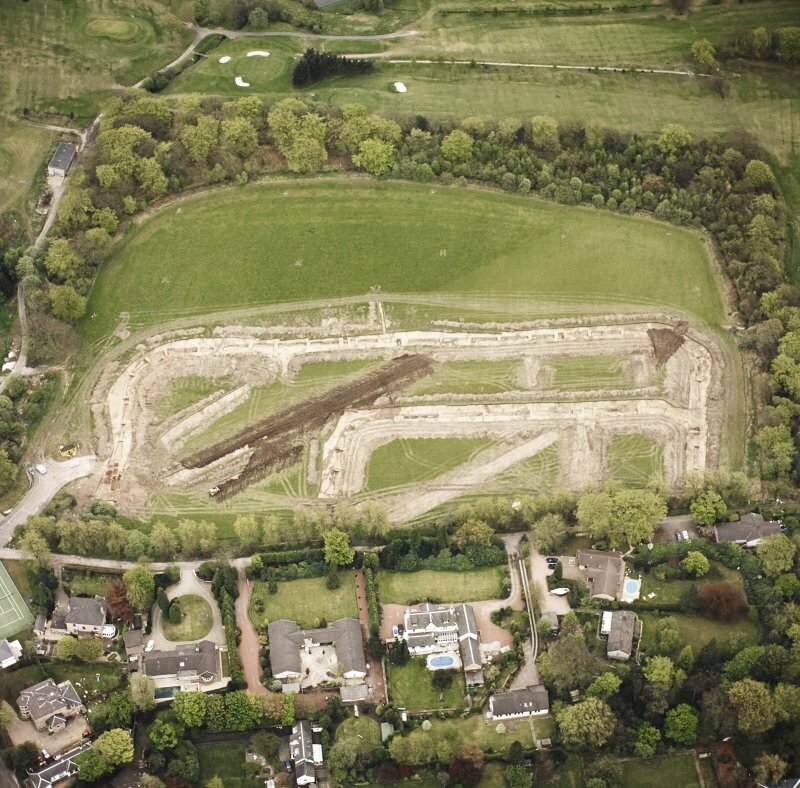 The length of the SE side of the larger camp was some 213m, of the smaller 140m. The ditches of both camps were about 2.1m wide and 0.9m deep. There is no trace of these camps to be seen on the ground. A brief period of excavation continued in 1976. The E side and SE corner of the outer camp were located, and two of its gates recorded. The camps lie on a N-facing slope in regularly cultivated ground. There are no surface remains. 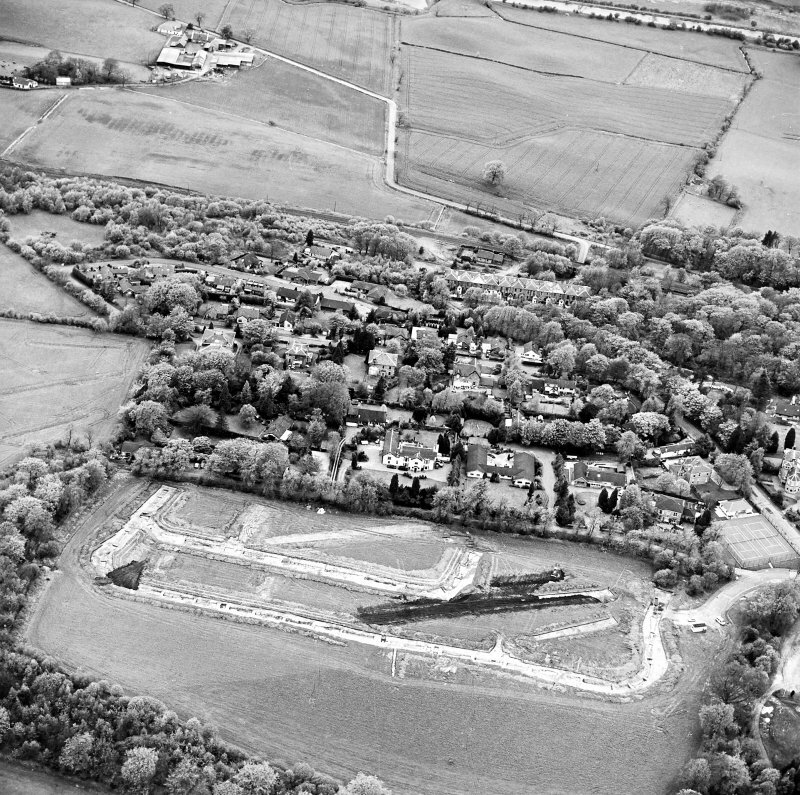 NS 746 767 Archaeological excavation of the two Roman temporary camps (NS77NW 22) at Dullatur was completed in advance of a housing development. The work comprised the complete excavation of the primary fills of the two ditches and excavation of a sample of the camp interiors. 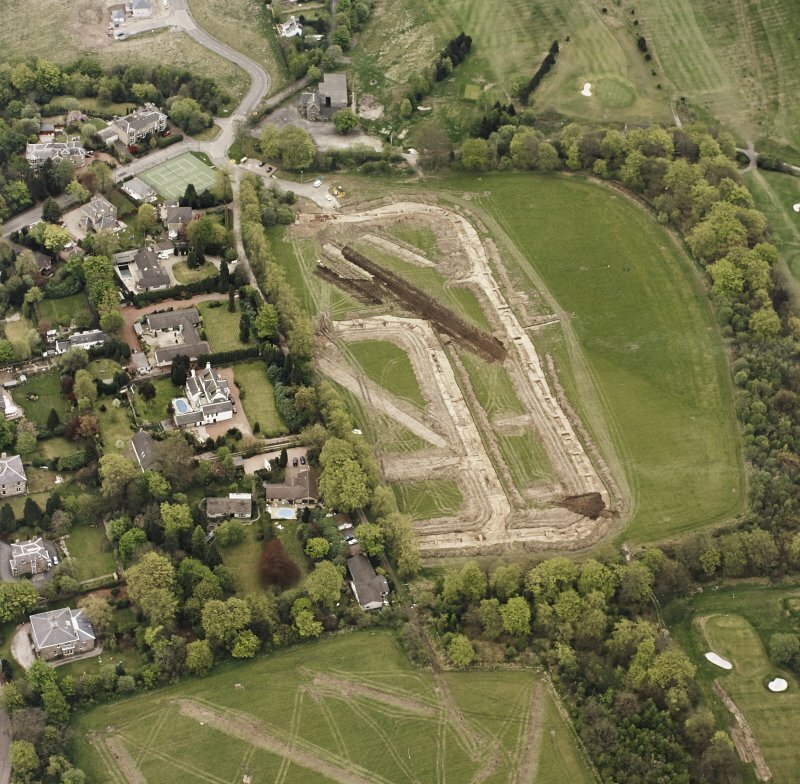 The principal objectives were to clarify the dating of the two camps and their relationship to the Antonine Wall. 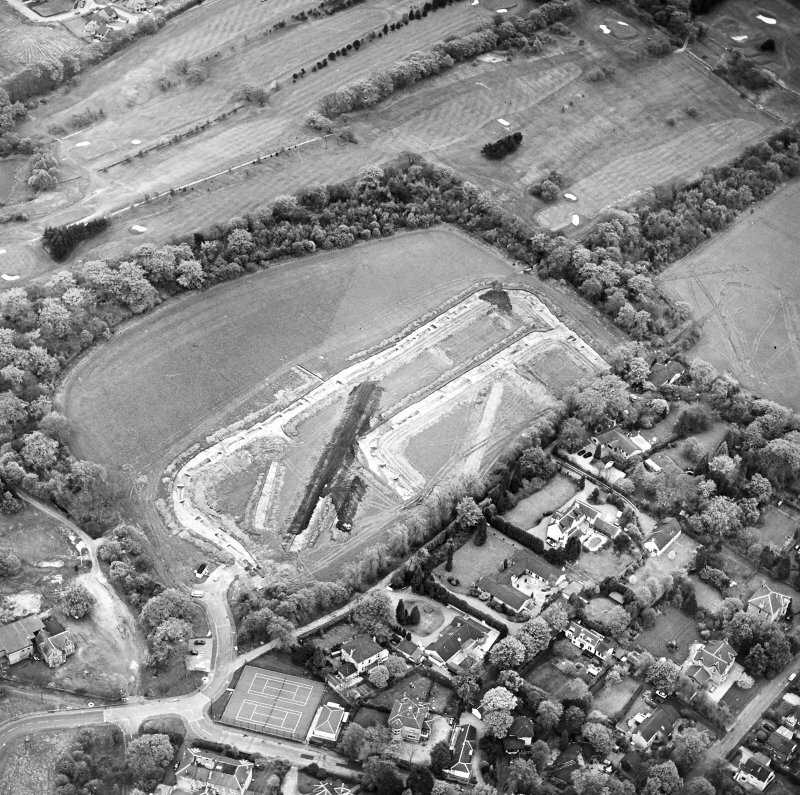 The site was partially examined by Lawrence Keppie in the 1970s. The current excavations confirmed the relative chronology of the two camps, that the Outer Camp pre-dates the construction of the Inner Camp. The terminals for the S entrance were traced in the position previously defined by Keppie. The entrance was 6.5m wide. 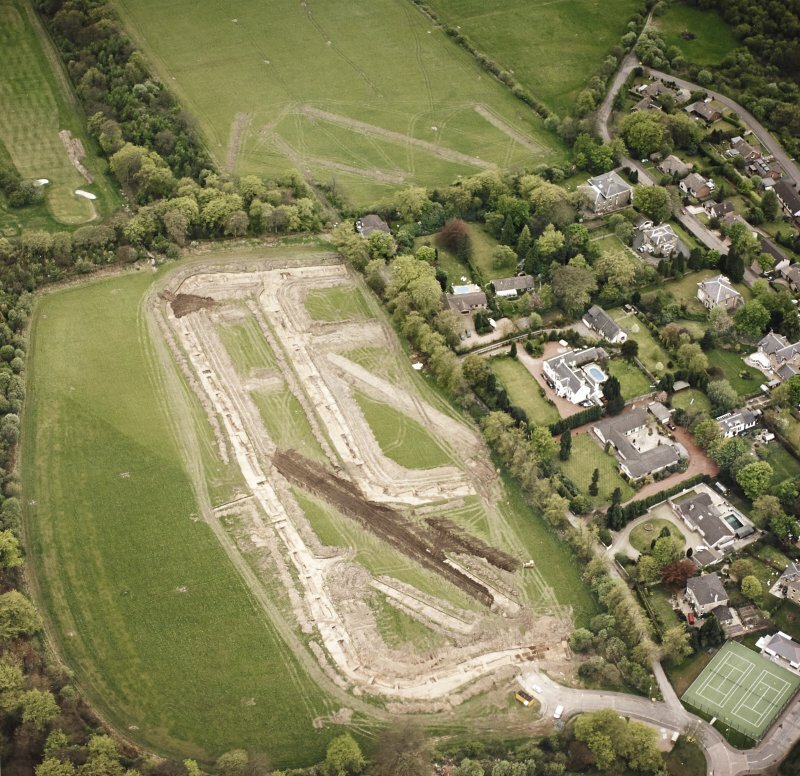 No trace of an outer traverse could be identified in a 22m long trial trench which was opened to the S of, and centred on, the entrance. No trace of the entrance or ditch terminals in the eastern side of the Outer Camp, however, could be defined in the area previously indicated by Keppie. The ditch was clearly seen to continue unbroken. 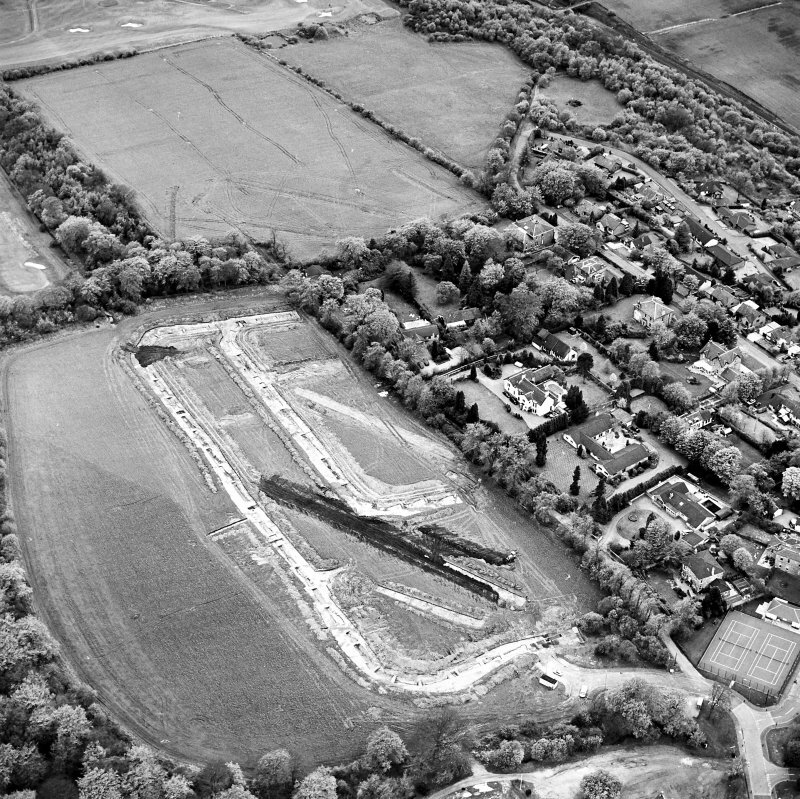 On topographical, formal and other grounds it seems likely that the site of The Lane, forming the northern boundary to the development, may well preserve the position of the Outer Camp E and W entrances. The primary outer ditch was of typical V-section profile with an ankle-breaker slot, 0.3m wide, at its base. The ditch was 1.8?2m wide and up to 1m deep. The secondary Inner Camp ditch, although of a similar width and depth, presented a more rounded profile. The ditch sediments principally consisted of naturally deposited clayey silts. These were archaeologically sterile with the exception of a few pot sherds and occasional fragments of charcoal. The ditches filled rapidly, possibly within two years of originally being cut given the evidence of natural turf-stabilisation horizons in the profile. These survived in places, particularly along the SE sector of the Outer Camp where the fall of the ditch was less pronounced than elsewhere. In the SW, W and E sectors, however, natural turf-stabilisation horizons were only present or preserved at the very top of the infilled ditch. A near-complete Black Burnished ware pot was recovered from the primary fill of the Outer Camp ditch, just to the E of the S entrance. The base of a samian bowl was recovered from 'hillwash' at the lower E side of the Outer Camp ditch. Meanwhile, only heavily abraded sherds of both samian and Black Burnished ware were recovered from the primary fill of the Inner Camp ditch. On the basis of differential abrasion, it is considered likely that these might well derive from the original occupation of the earlier camp. No internal features were present in the areas stripped. No trace survived of the internal rampart. Plough truncation was evident across the site. NS 746 767 The report lays out the details of the site as stated above. 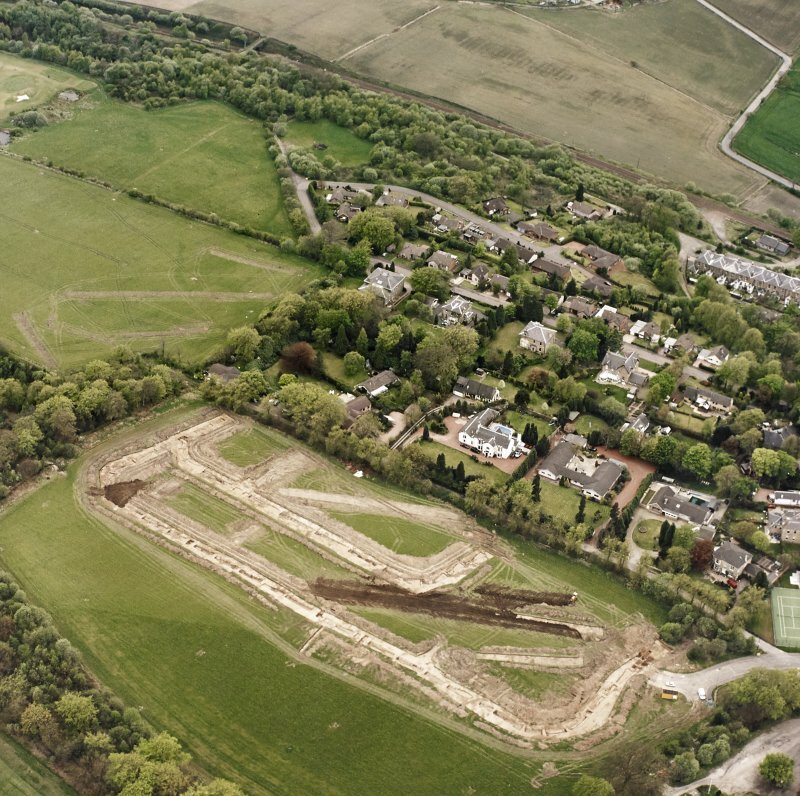 There is no record of any significant archaeological finds within the ditches and the report does not give a list of recommendations for any further work that is needed. 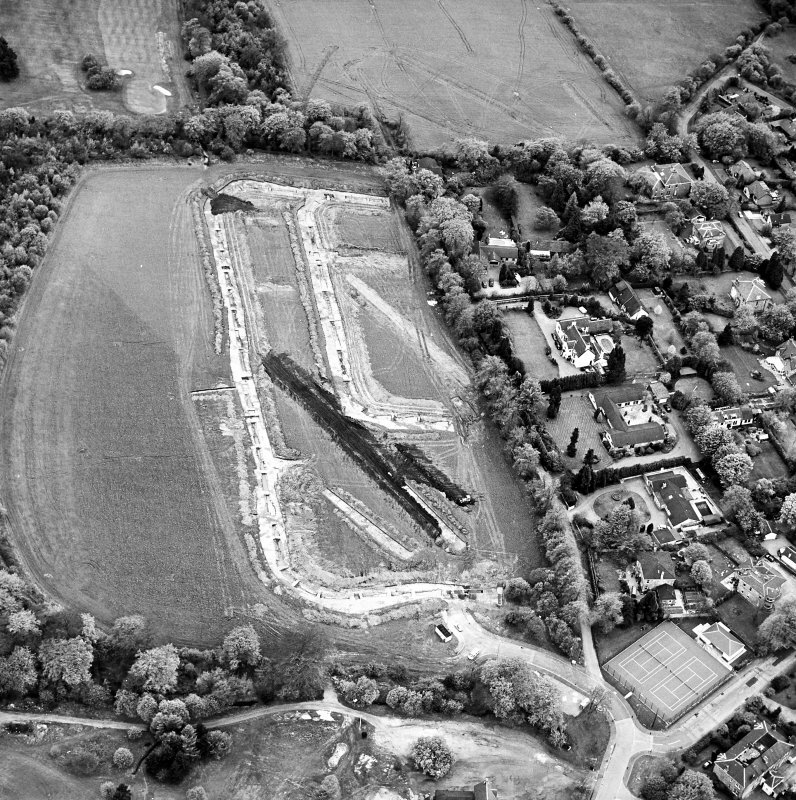 These temporary camps S of Dullatur House were picked out from the air in 1961 and, in advance of projected housebuilding which did not materialise, were investigated briefly. 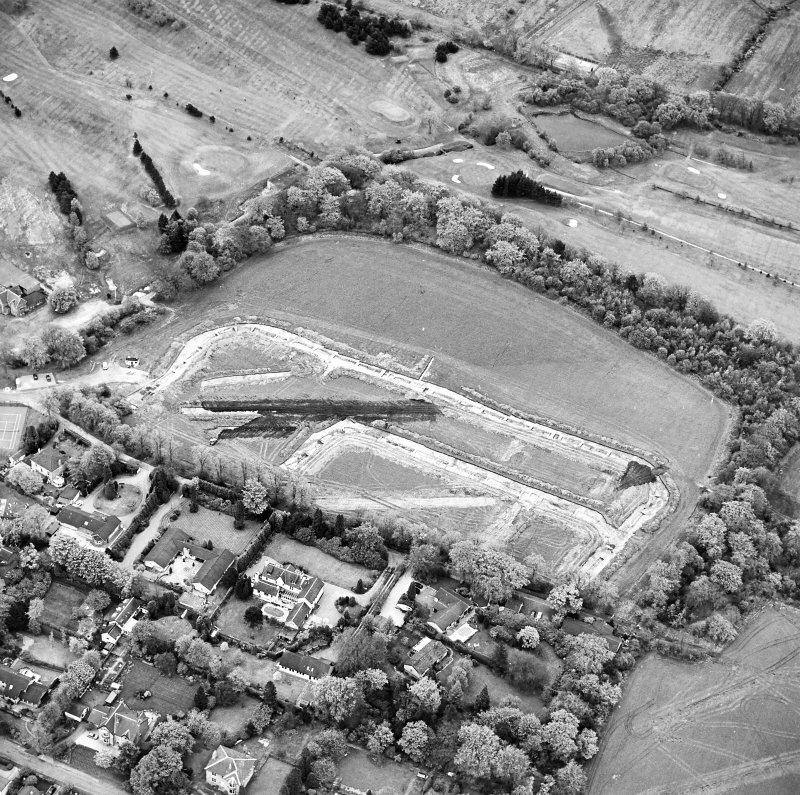 A comprehensive exploration was undertaken in 1998, prior to housing development. This revealed a camp the size of whcih, later reduced, appeared to be up to 10.3 acres. Pottery of the Antonine period was yielded by the site, being the first dateable finds recovered from any of these camps. A S Robertson and L Keppie 2001. 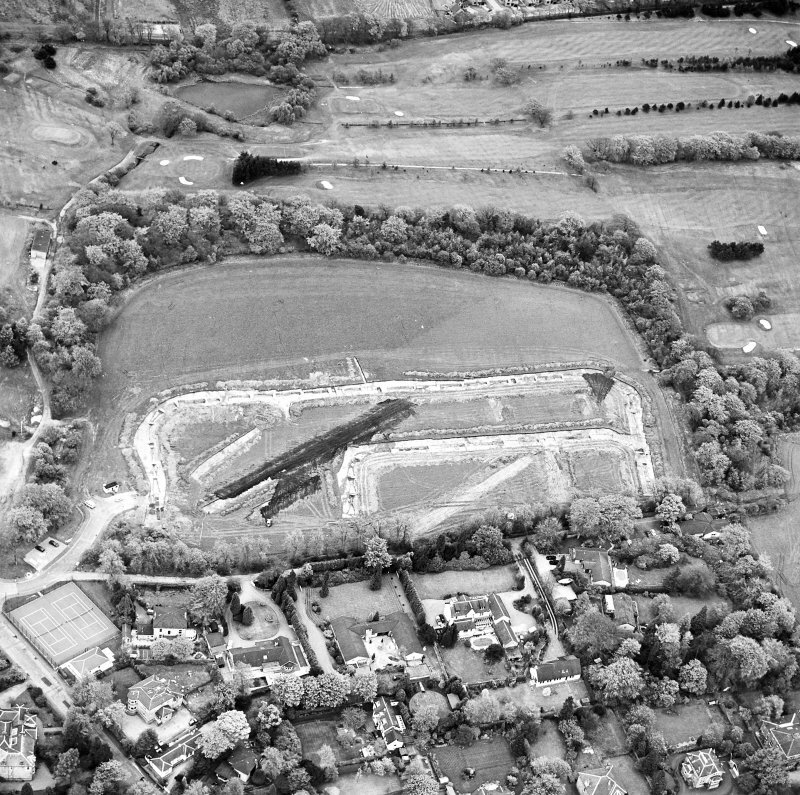 These temporary camps S of Dullatur House were picked out from the air in 1961. The primary outer ditch was of typical V-section profile with an ankle-breaker slot, 0.3m wide, at its base. 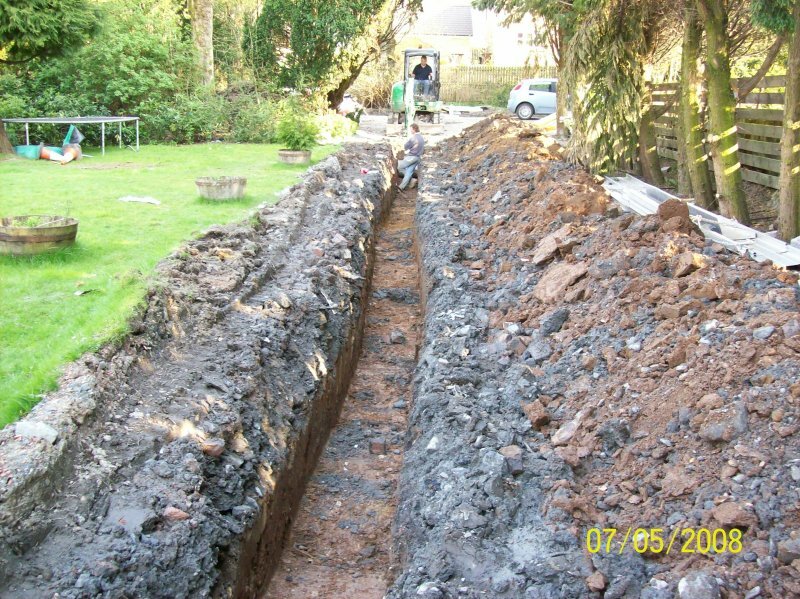 The ditch was 1.8-2m wide and up to 1m deep. The secondary Inner Camp ditch, although of a similar width and depth, presented a more rounded profile. The ditch sediments principally consisted of naturally deposited clayey silts. These were archaeologically sterile with the exception of a few pot sherds and occasional fragments of charcoal. The ditches filled rapidly, possibly within two years of originally being cut given the evidence of natural turf-stabilisation horizons in the profile. These survived in places, particularly along the SE sector of the Outer Camp where the fall of the ditch was less pronounced than elsewhere. In the SW, W and E sectors, however, natural turf-stabilisation horizons were only present or preserved at the very top of the infilled ditch. 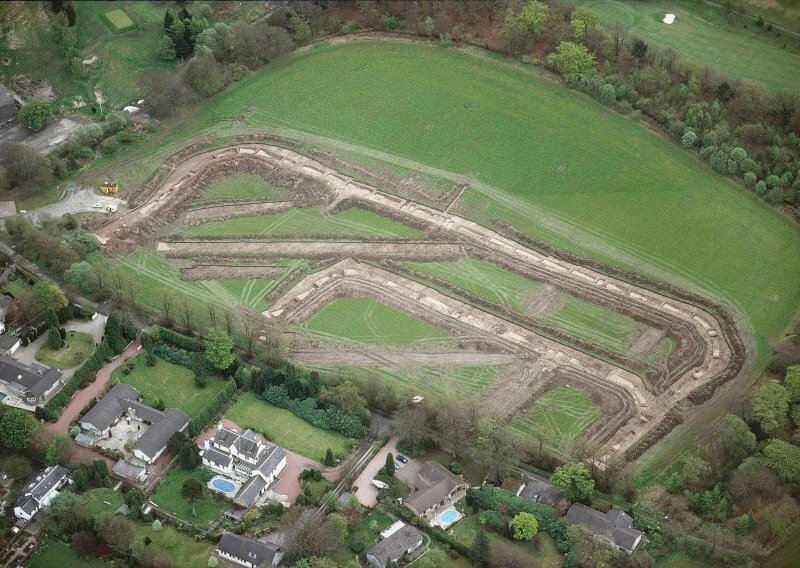 NS 7465 7676 The work undertaken between 9 November 2006 and 7 May 2008 consisted of a controlled topsoil strip of all areas (c150m2), covered by a proposed house and garages within the confines of Dullatur Roman Temporary Camps (NS77NW 22). No archaeological features were noted, though a number of 20th-century service trenches were encountered. 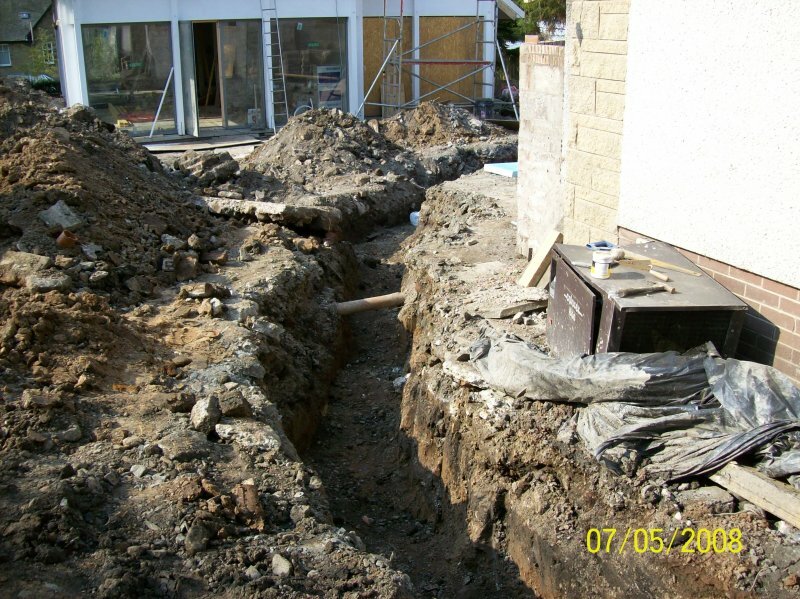 A further watching brief on a service trench revealed no archaeological features. No artefacts were recovered. 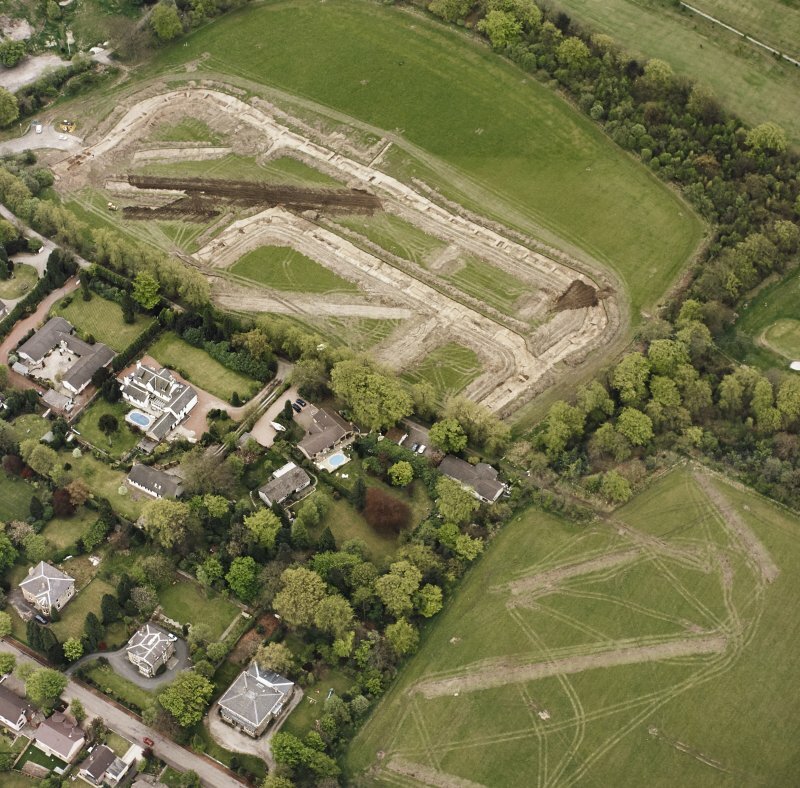 NS 7465 7668 An archaeological evaluation, consisting of a controlled topsoil strip, was undertaken on 5 and 8 January 2008 on the 460m2 site of a proposed residential house. No archaeological features or artefacts were observed. 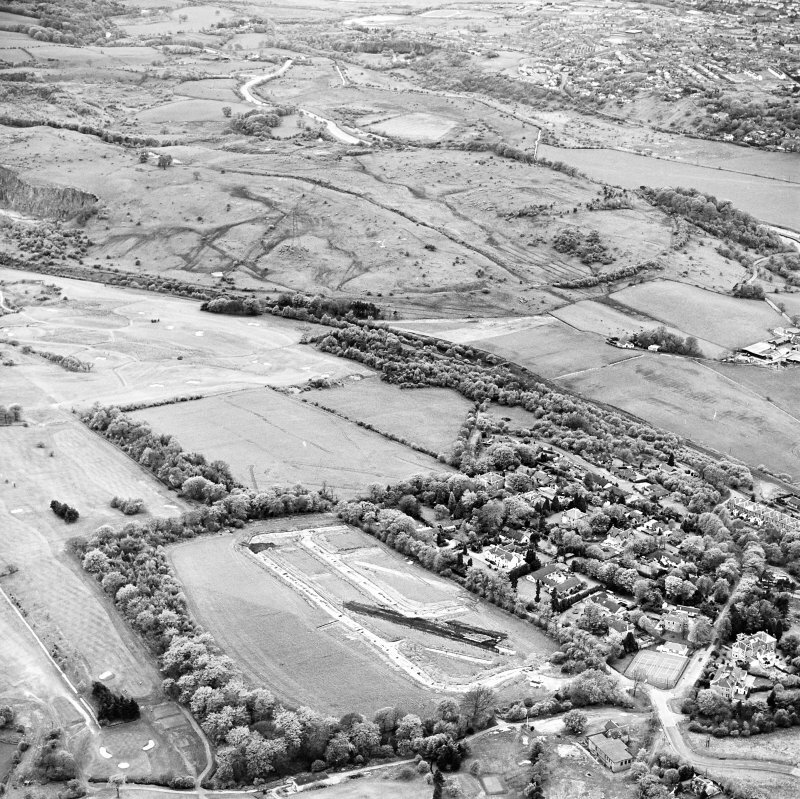 The two Roman camps at Dullatur were first recorded from the air in 1961 as linear cropmarks by St Joseph, but it was several years later that the evidence was sufficient to classify the cropmarks as Roman (St Joseph 1969: 108–9). 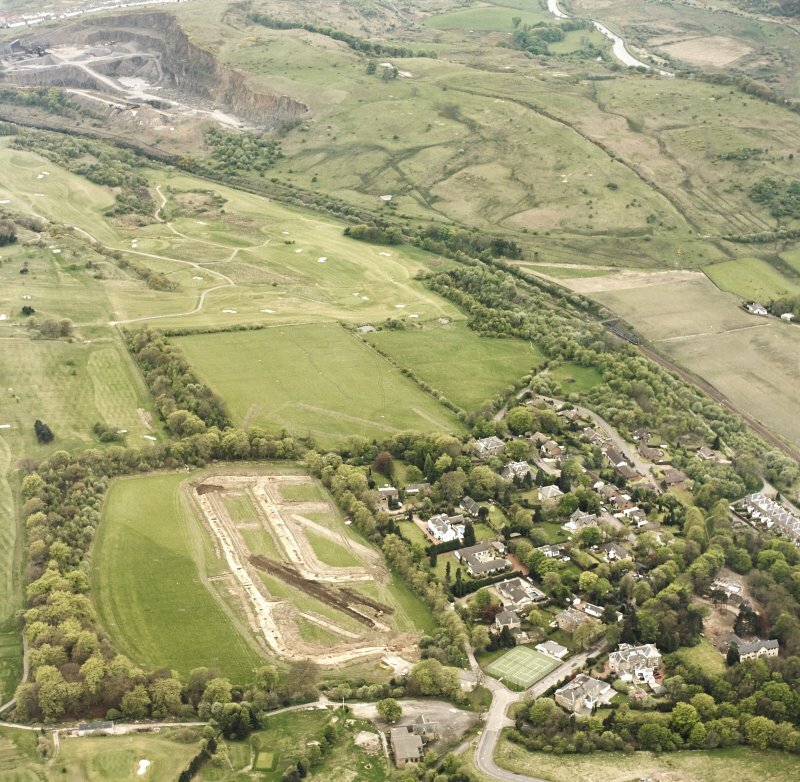 The camps lie on a north-facing slope, 400m south of the Antonine Wall, between Westerwood and Croy Hill. Only the south part of the two camps is known, with one inside the other, sharing part of the south-west side. The north part of the camps disappears under The Lane, a modern road. The larger camp (I) measures about 230m along its south-east side, with over 60m of the north-east and southwest sides recorded. Of the inner camp, (II), its south-east side measures some 146m, with 44m of its north-east side known. 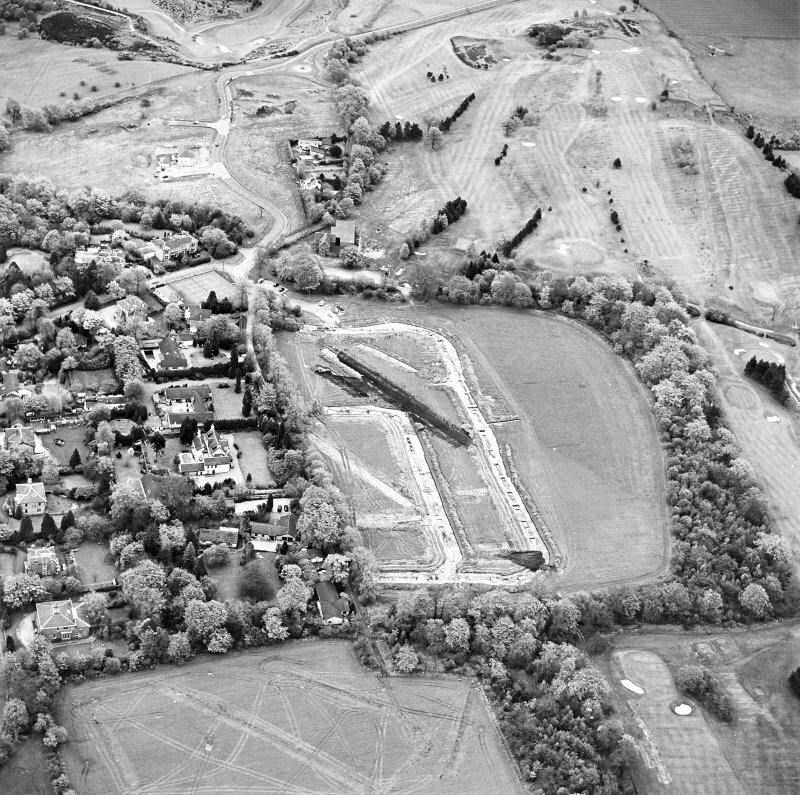 The camps have been excavated on two occasions; in 1975–6 Keppie undertook trial excavations (Keppie 1978); and in 1998 a large area of the camp was excavated prior to the site being developed as a housing estate (Lowe and Moloney 2000). 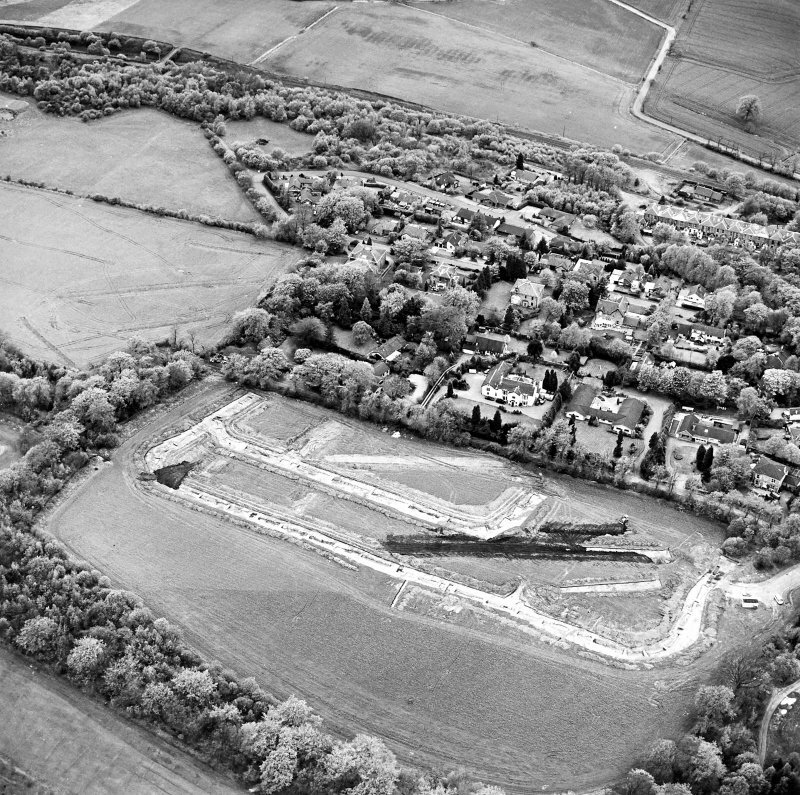 The 1975–6 trial excavations determined the relationship between the two camps. The smaller, inner camp (II) reuses the south-west perimeter of the outer. Keppie suggested that the area of the camps was 4ha and 1.7ha. 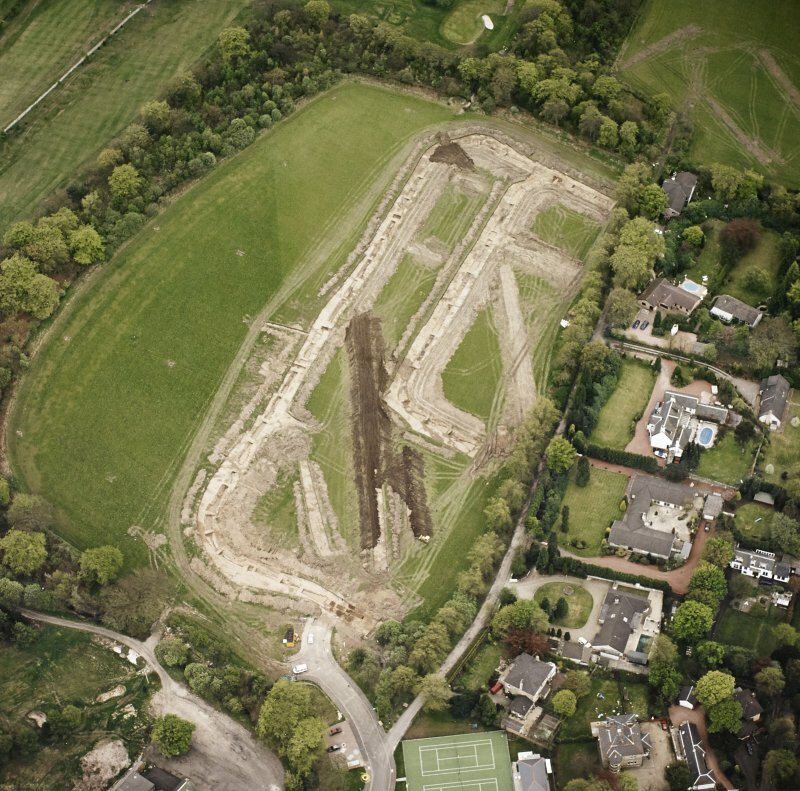 The 1998 excavations uncovered the known perimeter of the camps, confirming their relationship, but, significantly, the entrance on the north-east side, recorded by Keppie (1978: 9), could not be confirmed because the ditch continued unbroken. The entrance on the southeast side was reconfirmed east of the centre, and measured 6.5m in width; no traverse was located. The ditch of the outer camp was V-shaped and measured up to 2m wide and up to 1m deep, with an ‘ankle-breaker’ slot, 0.3m wide, sometimes recorded at its base (Lowe and Moloney 2000). The inner camp was of similar dimensions, but its profile was more rounded and U-shaped. 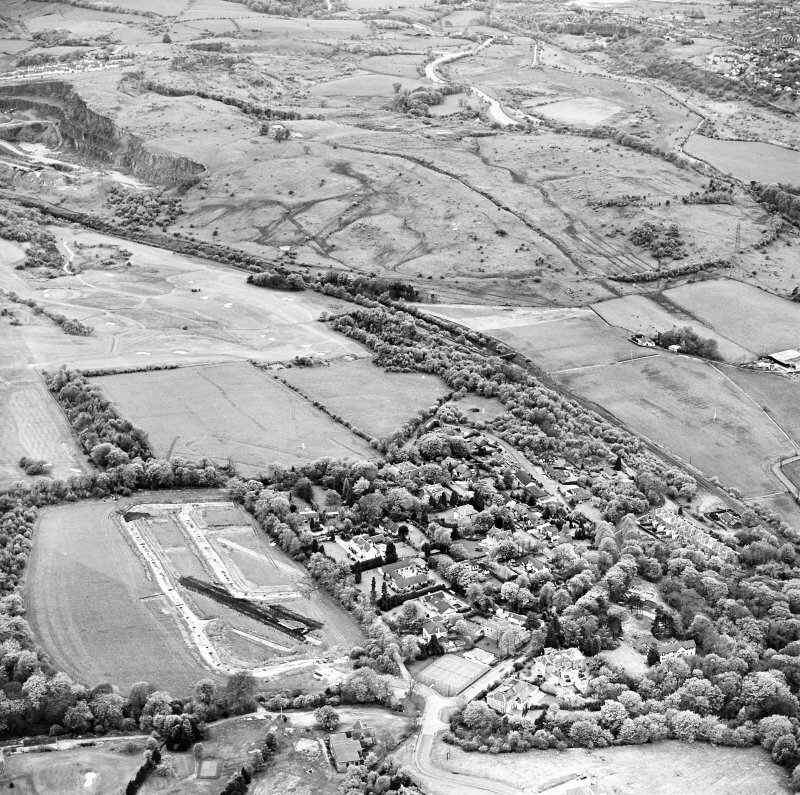 Roman pottery was found in the ditch of camp I and dated to the late Hadrianic–early Antonine period, therefore suggesting that the camp dated to the time of the Antonine conquest and construction of the Wall (Swan 2000). In addition, there were two well-defined turf stabilisation horizons in some areas, suggesting fairly rapid silt formation. The outer camp appeared to have silted up to a natural point of rest before the defences of the inner camp were recut. The presence of the two turf horizons in other sectors of the camp could suggest that the minimum time lapse between the construction of the second camp after the first was abandoned could have been as little as two years. However, this argument rests on the assumption that the south-east and south-west sectors silted up at the same rate (Lowe and Moloney 2000: 248). 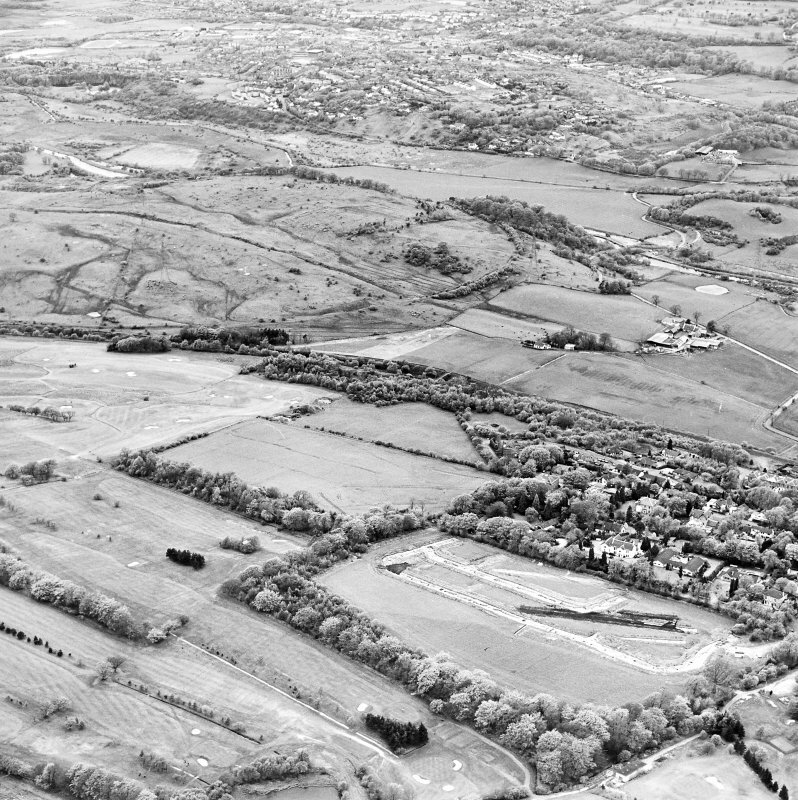 The failure to relocate Keppie’s north-east entrance in the later excavations led to the suggestion that it may be represented by the line of the modern road, The Lane, because this changes direction at the point at which it enters the camp from the east. This suggestion could mean that The Lane represents the centre point on this side, as the entrance gap on the south-east side was slightly towards the north-east side, and possibly, therefore, a side gate. 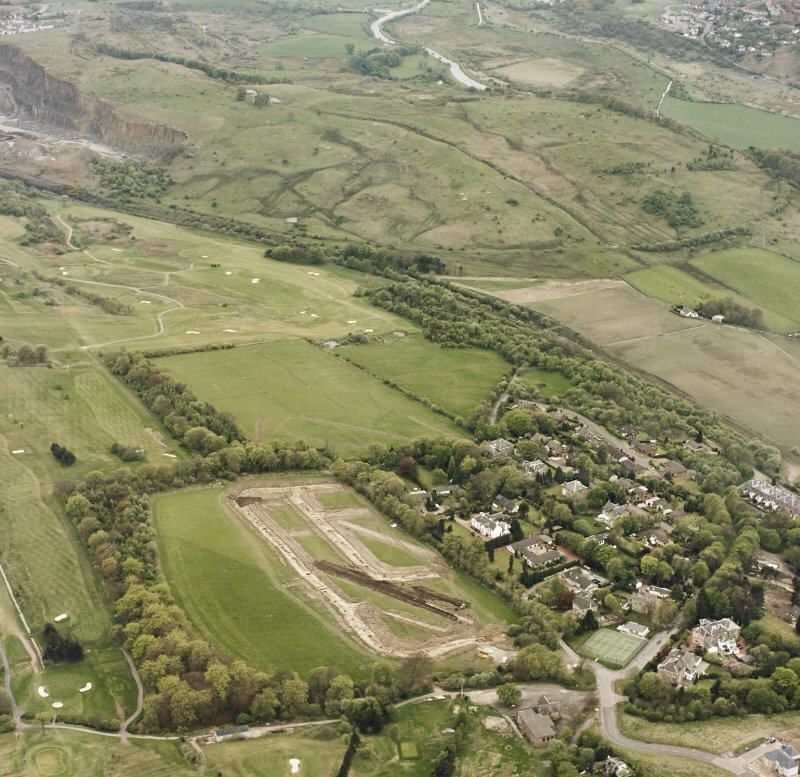 This would mean an increase in the size proposed for the camp, now measuring about 230m from north-east to south-west by up to 200m transversely, enclosing an area of up to 4.3ha (10.6 acres) (slightly more than the 4.2ha suggested in 2000 (Lowe and Moloney 2000: 249)). 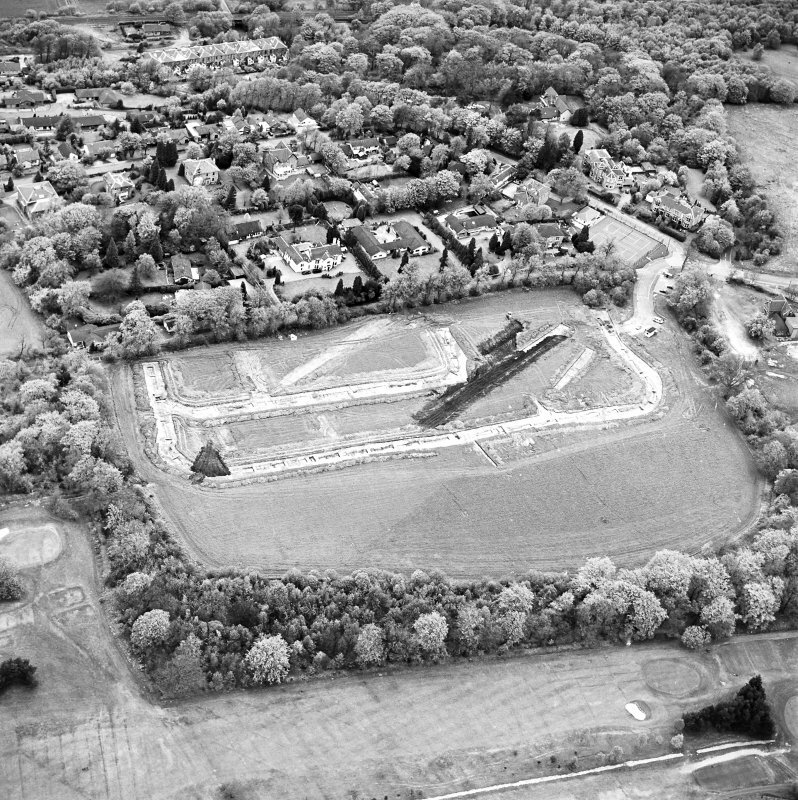 The dimensions of the inner camp are less easy to determine because, while it utilises the south-west side of the larger camp, it need not necessarily utilise its north-west side (for example, Hillside Dunblane – illus 143). However, if the location of the north-west side of the outer camp is correct, and if the inner camp did reuse it, the camp would be almost square in shape, measuring about 146m from north-east to south-west by up to 150m, enclosing a maximum area of 2.18ha (5.4 acres).